The city of Barcelona is divided into a number of districts, each with its own council and Catalan name. Ciutat Vella is the very oldest of all the districts of Barcelona. Here you find the neighbourhoods of the Barrio Gótico, El Raval, La Ribera, El Born and the old fishing quarter Barceloneta. Each neighbourhood posesses its own defining characteristics and style. The Barrio Gótico, home to the magnificent Barcelona Cathedral, the Placa Reial, and much more, is made up of a trail of maze-like narrow alleyways and small side streets. 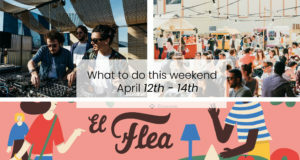 You can spend a pleasent day wandering around this pedestrianised neighbourhood admiring the old architecture, browsing through the small boutiques and art shops, or chilling at one of the trendy little cafes or bars. The famous Las Ramblas runs through the centre of the Ciutat Vella district, dividing the Raval from the Barrio Gótico on the other side, and continuing down towards the sea. At the top of the Ramblas is Plaza Catalunya, which is considered to be the heart of the city centre. Walking through La Ribera and El Born you will find many buildings dating back to the Medieval times. 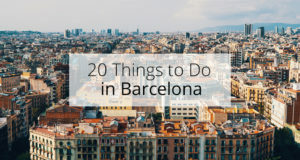 There are several tourist attractions in these areas, such as the popular Picasso Museum, the Basilica de Santa Maria del Mar (a spectacular church built during the 14th century), and adjacent to this, the Fossar de les Moreres (a memorial site built over a cemetery, where defenders of the city were buried after the Siege of Barcelona in 1714). 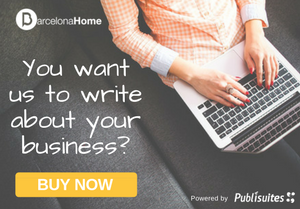 Barceloneta, meaning Little Barcelona, is an old fishing village dating back to the 18th Century. The neighbourhood has a lot of charm and character, and is famed for its excellent seafood restaurants. To find the perfect accommodation near the beach, take a look at our Apartments in Barceloneta. El Raval has a character of its own, including a dark and seedy past, which is still evident today. 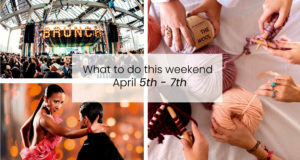 Places of interest here include La Boqueria, a massive fresh produce market where you can purchase meat, fruit, vegetables and much more, and MACBA (the Museum of Contemporary Art) which boasts stunning architecture. 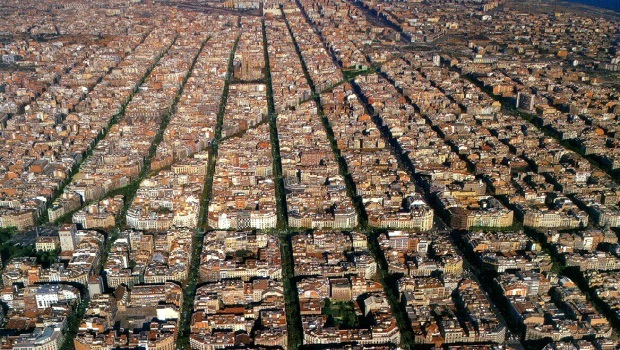 To the North of the city centre lies Eixample, a large district characterised by its grid-like design, wide avenues, long streets, chamfered blocks and intersections (each block is octagonal). This design is owed to the forward-thinking Ildefons Cerdà. Eixample is split into a left (Esquerra) and right (Dreta) side. 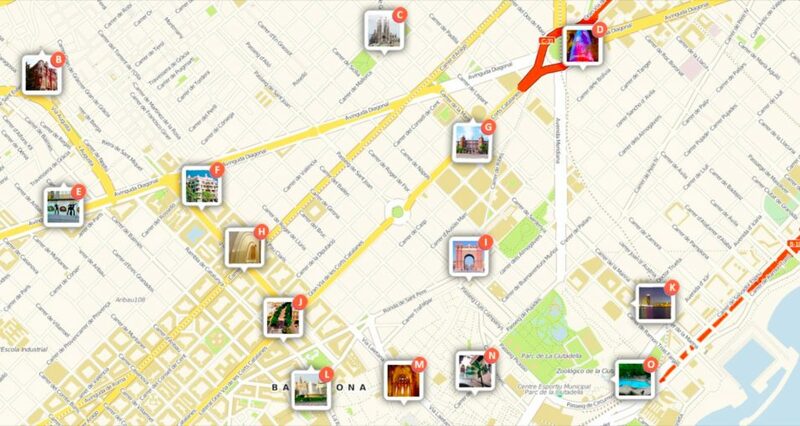 Eixample is home to many tourist attractions, namely Gaudi´s famous works. 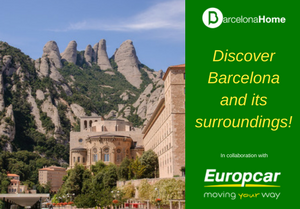 Examples of Gaudi´s impressive architecture that can be found in this area are Sagrada Familia, Casa Batlló, and Casa Milà (commonly referred to as La Pedrera). 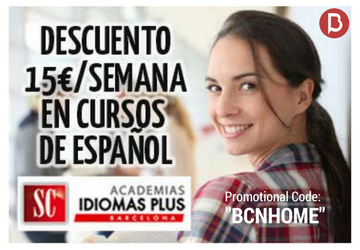 The former 2 can be found on the famous shopping strip, Passeig de Gracia. 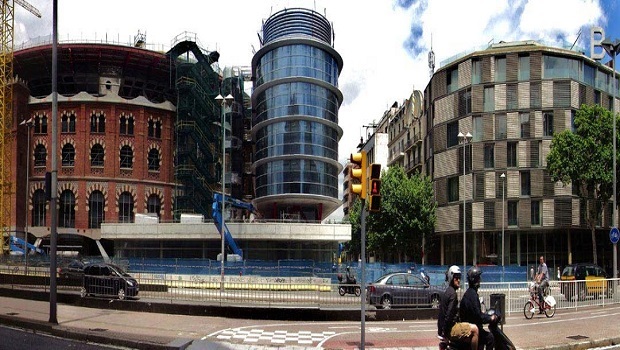 Eixample contains much more equally fascinating, but less well-known architecture. It is certainly worth taking a walk away from the hustle and bustle of the very city centre and exploring this calm, yet lively area. There are countless bars and restaurants to be found in Eixample, many of which offer traditional Spanish and Catalan fine dining. 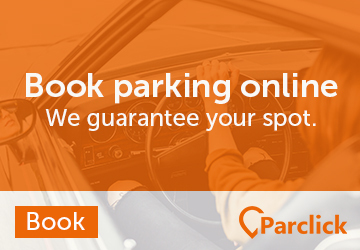 To find the perfect accommodation in this stylish neighborhood, check out our Accommodations in Eixample. 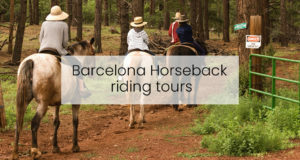 The Sants-Montjuïc district covers the Southern part of the city and is home to popular attractions, mostly around the Montjuïc and Plaza Espanya areas. The other areas of the district are primarily residential areas. 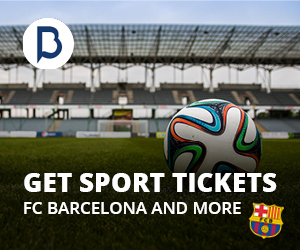 Montjuïc is a large hill and was the main site for the 1992 Barcelona Sants-Montjuïc Olympic Games. 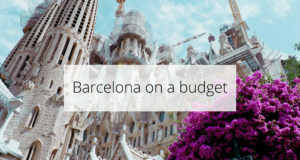 It has a great deal to offer, with sweeping views over the city, stunning scenery, the Olympic Stadium and other sporting facilities, Poble Espanyol, Palau Nacional (which houses the Museu Nacional dÂ´Art de Catalunya), the funicular cable car, beautiful parks and gardens, and La Fira (the spectacular Magic Fountain at the foot of the hill in Plaza Espanya). 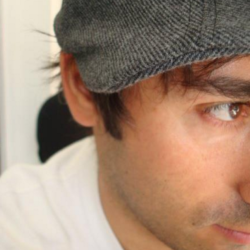 Also found in this district is Barcelona´s major train station: Sants Estacio. Les Corts in a commercial and financial district where one can find many shops, hotels, universities, restaurants, and bars. 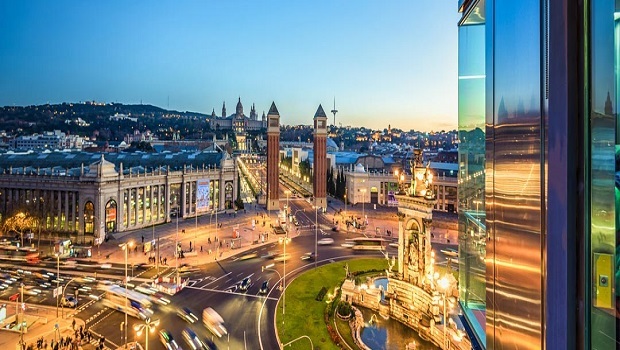 It is located to the North of the city and does not offer a great deal in terms of tourist attractions apart from FC Barcelona´s impressive stadium: Camp Nou. 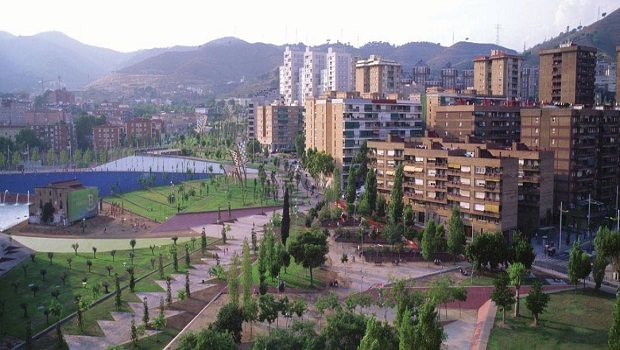 The area also boasts a number of nice parks and a large shopping mall called L´Illa, situated on one of Barcelona´s major roads called Avenida Diagonal. 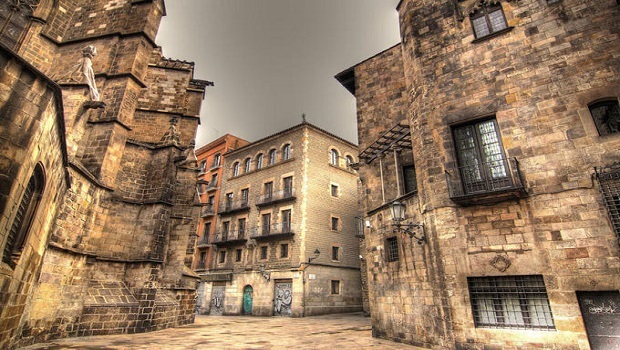 Sarrià-Sant Gervasi is to the NorthWest of the city and is one of Barcelona´s largest districts. Much of the area is upper-class, and you can see many large, beautiful houses throughout the area. There are many trendy hotspots where the young and the stylish like to hang out in cool bars, restaurants, and nightclubs. There is a village-like feel in this district, which makes it a popular place to go out at night and at the weekends. Some of the Collserola mountain range is part of Sarrià-Sant Gervasi, including Mount Tibidabo which overlooks the area. 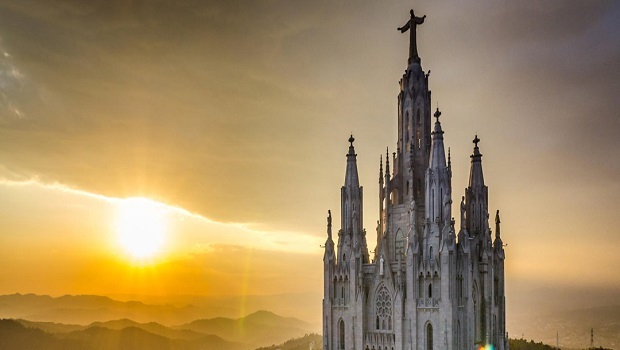 Tibidabo is a popular place for locals and tourists alike, offering one of the most incredible views over the whole of Barcelona, and housing Barcelona´s oldest amusement park. The Gràcia area is a small, charming area with a slightly bohemian feel to it. It is made up of a diverse mix of inhabitants who form a tight-knit community, which makes for a great atmosphere. 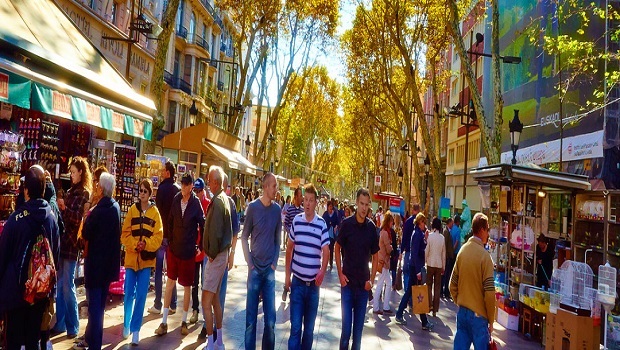 Characterised by narrow streets and small alleyways and numerous plazas, Gràcia is certainly a district worth visiting. During the warmer months the plazas fill with people of all ages that gather to enjoy the sunshine and the atmosphere of the district. There are countless bars and restaurants to be found here, many of which are small but make up for size in character and atmosphere. It is a fantastic place to spend the day or night eating and drinking with friends, particularly as just about any cuisine that you may desire can be found here. 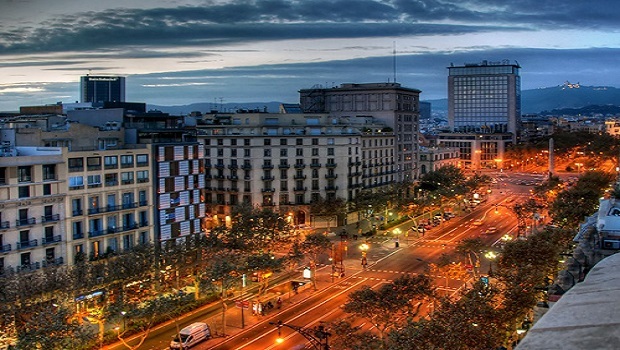 The bars and restaurants are very popular amongst Barcelona´s younger population. Gràcia´s most well known attraction is Gaudi´s Parc Güell. 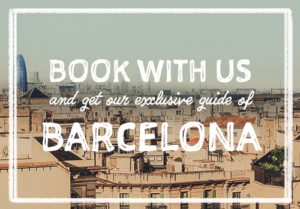 With beautiful views over the entire city and fascinating Gaudi creations, this is a must-see. 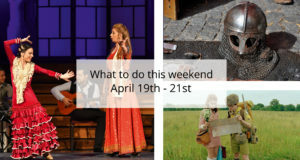 In addition, Teatre Lliure (one of Barcelona´s most prestigious theatres) can be found here in Gràcia. The Gràcia Fiesta (Festes de Gràcia), which is considered one of the biggest and best festivals, is held here over a period of 8 days in August each year. Horta-Guinardó is large area to the North-East of the city centre. As the area is relatively untouched by tourism, you will find mostly locals here, and a lack of tourist attractions. The district, characterised by its hills and steep streets, has a quiet and peaceful atmosphere. For a nice change from the hustle and bustle of the city, and for a breath of fresh air, escape to this less-visited area. 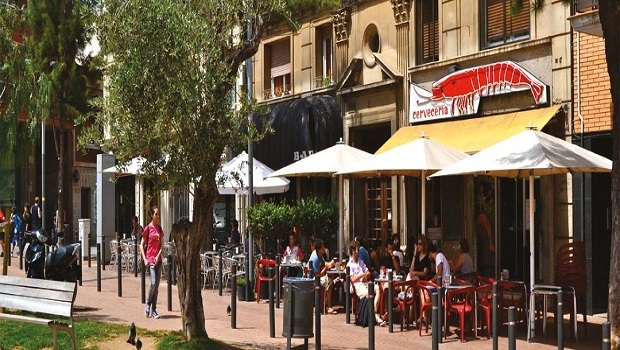 Nou Barris is located North-East of the city centre, and like Horta-Guinardó, is relatively untouched by tourism. A quiet neighbourhood with a local community. Sant Martí­ is located to the East of the city centre and includes a coastal strip. There are commercial and business areas here so you can find many hotel, bars, restaurants and nightclubs. It is a lively place to be, particularly in the areas that are nearer the coast. Many of the cities beaches can be found here, as well as some of the cities most popular nightclubs. 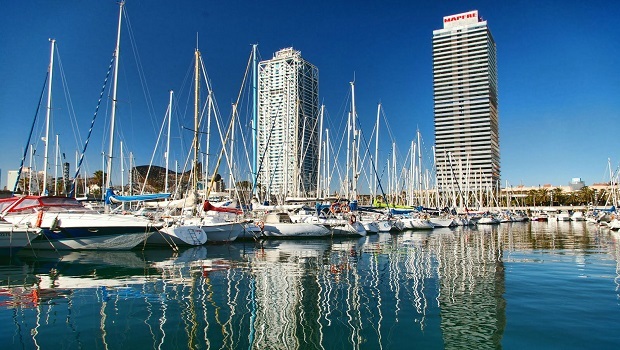 Port Olímpic, Barcelona´s famous twin towers, and the Diagonal Mar Shopping Centre are also some of the main sights in the district of Sant Martí­. Sant Andreu is a peaceful neighbourhood in the North-East of Barcelona. It is less well-known to tourists, however there is much to like about this quaint neighbourhood. The streets and plazas are rich in history and tradition, and there are a number of authentic restaurants that serve some of the best tapas that you will find in Barcelona, at very reasonable prices.